FARS agency says CNN "added to or changed parts" of his remarks and that he never said "Holocaust" or "reprehensible." 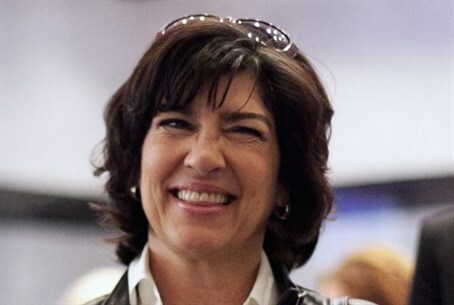 Official Iranian news agency FARS said Thursday that CNN misrepresented Iranian President Hasan Rouhani's statements in an interview with the network's Christiane Amanpour, saying the network added the words "Holocaust" and "reprehensible" to its translation. “The CNN aired its interview with Rouhani on Tuesday but the news channel added to or changed parts of his remarks when Christiane Amanpour asked him about the Holocaust,” FARS said. The Daily Beast noted that Rouhani "employed the old Holocaust deniers' tricks of 'questioning' the death toll [of the Holocaust], averring that many others groups were also victims, and claiming that a well-established historical fact requires further examination by 'historians and researchers,' while repeatedly pointing out that he is 'not a historian.'" Rouhani has been presented as a moderate in comparison to his predecessor, Mahmoud Ahmadinejad. While Ahmadinejad was an out-and-out Holocaust denier, it was hoped by many that Rouhani's apparently more moderate statements regarding the Holocaust are a sign that he will bring about a change in Iran's policy toward Israel. However, FARS's clarification appears to take much of the wind out of these hopes.